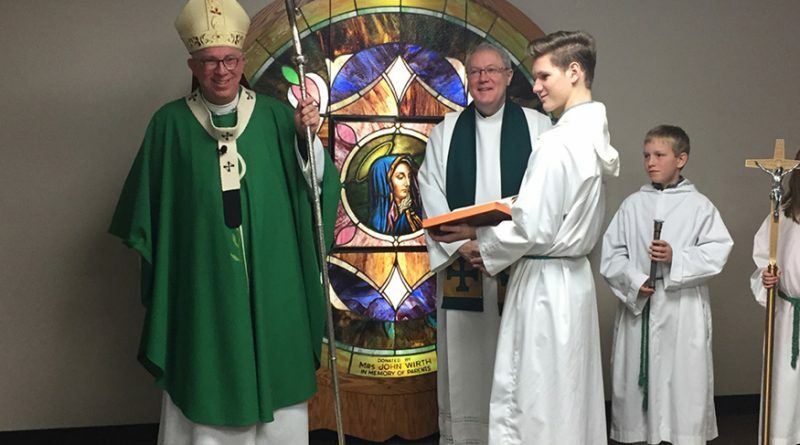 Ironically, one small Iowa parish, whose patience bucked the trend of proposed clustering throughout Iowa, has pushed their boulder uphill against all odds; outlasting the tide of nationwide Catholic parish closings by holding onto their roots and waiting for better days. The parish moved in fits and starts from its earliest days on the prairie of Iowa, surrounded by rich farmland and struggling farmers. A parish school tried to function, once for a stretch of seven years, then closed to open again for another six, before permanently shuttering. Five miles away, its offspring, St. Cecilia Parish and School, was where the influx of immigrants and migrating peoples were gathering in larger numbers as they worked and lived near Iowa State University and the newly developing city of Ames. Over the decades, the little country church was slowly drained of parishioners, the result of many small town factors happening throughout Iowa, until the parish finally lost their last remaining permanent priest in 1987. 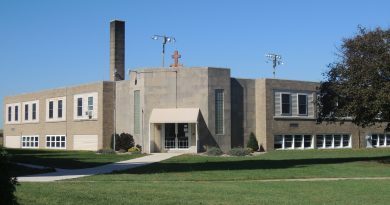 At that point, the mother church of St. Cecilia’s, and later St. Thomas Aquinas Student Center, became a mission church dependent on its offspring for sacramental services. But numbers impacted the greater Gilbert community. 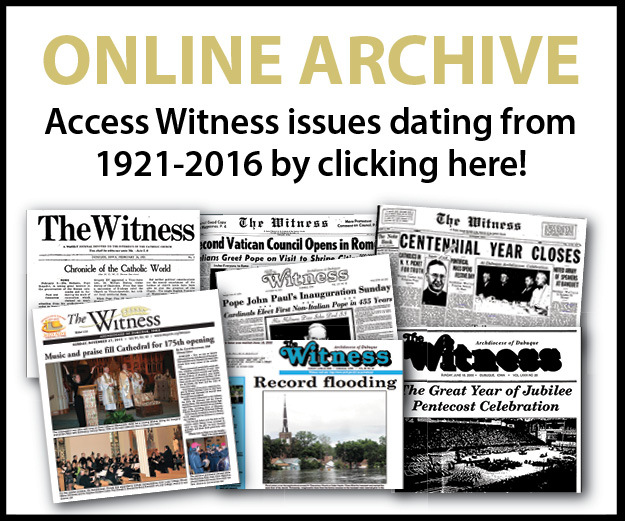 In 1990, the town of Gilbert had only 800 residents, and most of those were Lutherans. 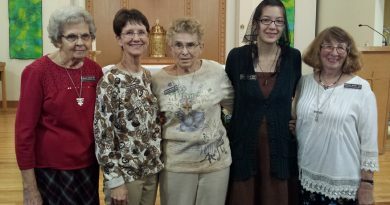 Talk circulated that the parish might be clustered with St. Cecilia’s in Ames due to the shortage of priests. Sue and Mike Baumhover, parishioners that lived on an acreage north of Gilbert, remember the day they were asked to defend their church’s existence by the archdiocese. It wasn’t enough. They needed a priest, someone willing to commit to helping keep the doors open. That’s when Father Ev Hemann from St. Thomas Aquinas Student Center in Ames stepped forward to help them. In 2016, SS. 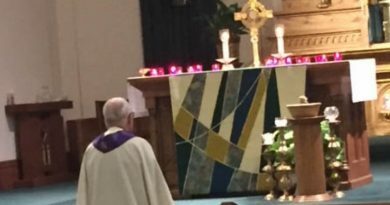 Peter and Paul Catholic Church celebrated its 100th anniversary with a renovation short of a miracle. After Easter 2016, the church closed and the parish members were welcomed by the people of St. Petri Lutheran Church in Story City, five miles to the north, to use their church building for weekly Mass. It was in God’s perfect timing that a population boom arrived in Ames, and at Iowa State University, over the last 10 years. Urban growth has moved north toward the little town of Gilbert where the town has seen an increase of over 200 new residents. More housing built to the north means more Catholics in the area, and this time it was the archdiocese that now encouraged the little parish to renovate itself. The new additions in phase one have been an elevator, an enlarged social space, a small gathering area on the west side of the church worship area, six additional pews and a bell for the new bell tower obtained from the Good Shepherd Church in Jewell no longer in operation. Also, two new handicap accessible rest­rooms were installed with improved front door access. The hope is that now more weddings and funerals of parishioners can be held at their own church. Financially, the parish raised enough money to begin the project comfortably; raising triple the amount projected. But there were challenges along the way. Using a century-old church meant replacing costly electrical wiring, but better wiring meant air conditioning, at long last. SS. Peter and Paul Church opened its doors again to receive its parish community on Christmas Eve with liturgies at 4 p.m. and 6 p.m. Archbishop Jackels dedicated the new spaces on Jan. 15, and the parish held a breakfast afterward. Phase two of the project is anticipated to begin within the next 10 years.